[Here are 2 cartoons from The American Gentile copies that I have. These were published in about 1935 & 1936. 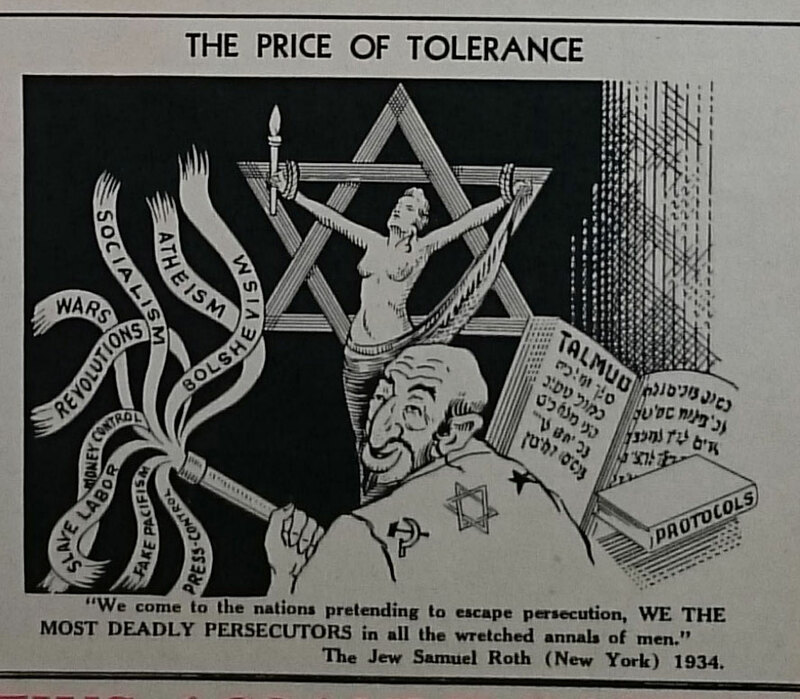 Here you can see that "anti-semitism” is always the SAME THING! 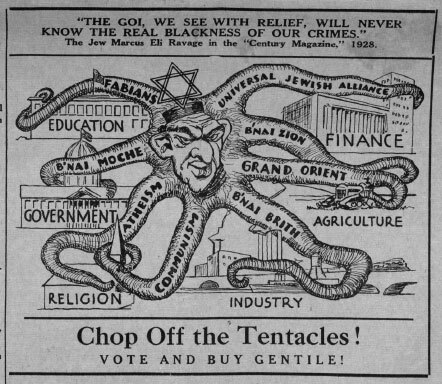 Whites wake up and discover the TRUTH about the Jews! The TRUTH is ALWAYS THE SAME. Its that simple. Its the Jews who lie and pretend that we are the deviants. So-called "anti-semitism” is nothing more than THE FACTS, explained correctly. It is the SAME in EVERY Western country. All whites have experienced the same thing. THE TRUTH DOES NOT CHANGE! See the quote from the Jew Marcus Eli Ravage below. Our ongoing stupidity in not seeing, and not punishing the Jews, just emboldens them and they continue on with the same nonsense – century after century. We are enabling this because we don’t take action. ← Jan’s latest BREAKTHROUGH: THE GREAT JEWISH MASK! !